Teddy wrote the track, "Christmas," specifically to go along with his annual Christmas show, being held in London this year. The song features Teddy's Dad, Richard Thompson, on guitar and his Mum and Sister, Linda and Kamila Thompson, on backing vocals. 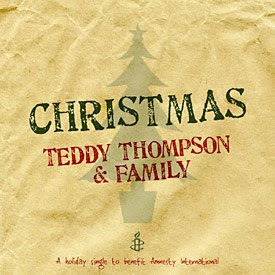 Teddy is donating all his royalties from the song, as well as all proceeds from the sold out Thompson Family & Friends show at the Queen Elizabeth Hall in London on December 17th, to Amnesty International. Download Christmas exclusively at iTunes. 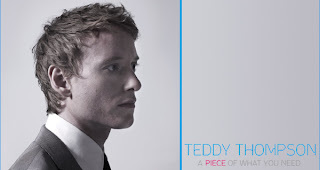 Teddy's "A Piece of What You Need" (Verve Forecast) featuring "In My Arms" is also available now!